This site has been created to share ICT plans, ideas and examples from my school. This site has undergone various different versions over the past few years and this is the first since the final version of the Computing curriculum has been released. I have included aspects of coding and computer science, but there are others that do this much better so I will also link to other sites where necessary. 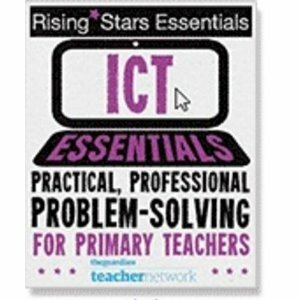 This site focuses on using ICT across the curriculum. Over the coming weeks, this site will be updated to provide a skeleton on which the plans and ideas will be presented. Each area will share ideas of how to progress so that you can share the next steps with the children. The principle thought that started this site still remains: “What should a child leaving our school be able to do?” I will be sharing an updated version of this vision soon. The website will include a range of tools including web-based software and apps. The idea is that for each tool there will be a link to the website, a quick start guide and a how-to video. Where possible there will also be links to examples or blog posts about this area. You are welcome to use any of the resources within your own school and please do offer guidance or feedback where you can. Just remember that these were written with my school in mind so they may not fit exactly with yours, but you can adapt them. Please also link back to this site wherever possible.